Real estate mentor and sought-after speaker Tom Zeeb has launched his long-awaited real estate business and investment podcast Get Traction. Listeners are invited to subscribe. 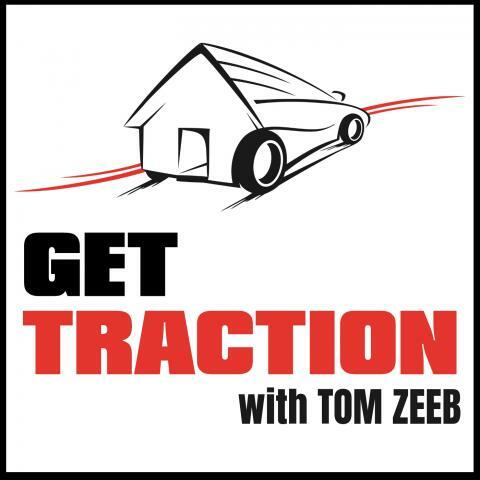 Washington DC-based author, speaker and real estate mentor Tom Zeeb has launched his long-awaited podcast ‘Get Traction’. An extension of his highly successful ‘Traction Real Estate Mentors’ and ‘Traction Real Estate Investors Association’ websites, this podcast enlightens listeners as Tom shares his triumphs, mistakes, and ‘must know’ real estate investment business tips for continued success now and well into the future. More information is available at https://tractionrealestatementors.com. Recently launched, the Get Traction podcast is a series of live segments on real estate investment as a business so that listeners can build their own business and avoid making costly mistakes. Discussing the ‘how to’ of property investment from the basics through to the intermediate and more advanced techniques, Tom Zeeb focuses on critical investment elements that lead to success. A wealth of information, the Get Traction podcast includes master marketing techniques, sealing the deal negotiation philosophies, methods to find out what property is worth, strategies to getting the math right, and approaches to using the right contract to seal the deal. Plus, listeners will hear real-life success stories as Tom interviews his association members and students who share their achievements. Podcasts will also look critically at being a real estate entrepreneur. Offering a range of detailed deal making techniques and analysis, the podcast shares the expert knowledge needed for any market. Tom Zeeb, author, speaker and real estate mentor flipped his first residential property after a near-death experience because he realized that he wanted more out of life than just the 9-to-5 grind. Since this revelation, Tom has helped hundreds of people transform their lives from ‘boring’ and ‘drowning in debt’ to living the life they crave. To subscribe to Tom Zeeb’s Get Traction podcast, please visit http://www.GetTractionPodcast.com. Subscribers will gain access to the latest podcasts, the podcast library of previous editions and will also receive regular podcast updates.